Courtesy of Amanda Lee Magana, Sager Real Estate. Beautifully maintained 3 bedroom 2 bath brick rancher that sits on a large tree lined, fully fenced corner lot. Home is steps to Handley Campus and walking distance to downtown Winchester situated in a quiet neighborhood of beautiful large homes. Red oak hardwood floors, New carpet, Lovely Sun room ,Functional Fireplace, Anderson windows and a large finished basement are just some of the features that compliment this home. Raftered roof system provides attic storage stretching across the entire length of the home plus exterior attached storage room provides plenty of storage options. Energy efficient natural gas heat source, Ruud HVAC installed in 2015, New Electric panel box complete with new breakers as well. 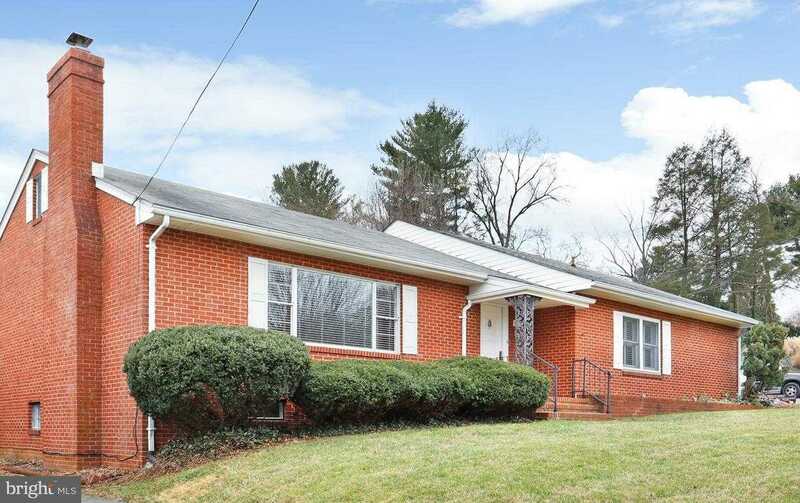 Please, send me more information on this property: MLS# VAWI107036 – $338,000 – 433 Briarmont Drive, Winchester, VA 22601. I would like to schedule a private showing for this property: MLS# VAWI107036 – $338,000 – 433 Briarmont Drive, Winchester, VA 22601.